New blocks are added the first day of each month. Just view the project below, then select the month. you can buy the pattern package here. Quilts from Nickels, Dimes, and Fat Quarters"
This mystery is done in Christmas colors, but you can use any colors for a nice baby quilt or wall hanging. So we're celebrating Christmas here, and you'll finish your project in time for Christmas in July!! 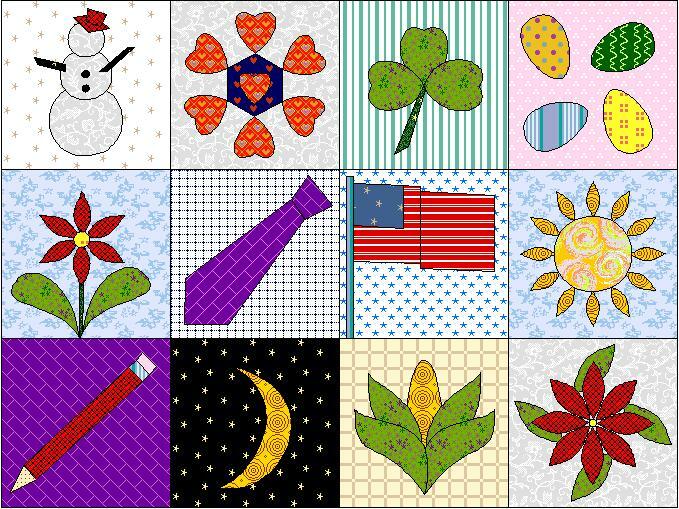 These Free Patterns are entrusted to you for your own personal use. Please do not copy and/or distribute them in any manner without the express permission of ME. Each pattern will remain on the page until 30 days after the day of posting of the last installment of the project. Patterns will be available for purchase on the Pattern Page thereafter.